In September 2011, a pocket-sized photo album that had been unseen for more than 40 years was unearthed in a Beckenham Cricket Club attic. The album contained 196 photographs of the club, taken from 1895 to 1966, shortly prior to the day that the 1892/93-built wooden cricket clubhouse was due to be knocked down. Some of the earliest photographs in the album chronicled croquet, on the site of the current Courts 5-7, famous Kent cricketers, the international tennis tournament and scenes from the annual athletics’ meetings. But there was also one photograph (pictured below) dated 1895, showing a long-time member called Mary standing on the step of a small shelter-like structure, listed as the “old ladies’ pavilion”. 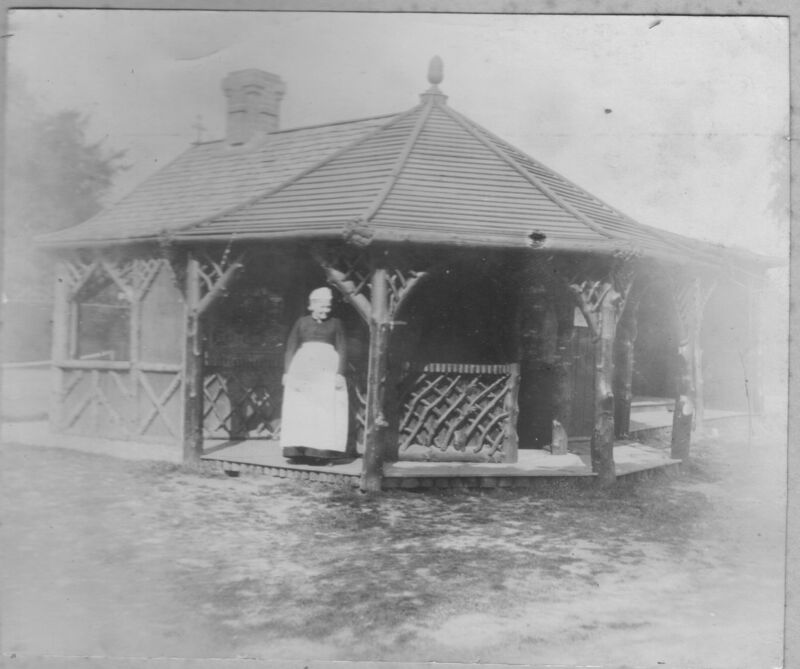 Its date of construction remains uncertain, but its footprint is evident in the design of a new grander wooden ladies’ pavilion constructed by the summer of 1896. So had lady members asked for better facilities? Probably, as they weren’t allowed to enter the 1892/93-built main pavilion beside Foxgrove Road. First mention of lawn tennis in the annals of the club appears in the minutes of a committee meeting on 17 November 1879, when there was approval of a plan to level part of the ground sufficient for three grass courts. But it wasn’t until 29 November 1880, that a proposal was made at a general meeting that ladies be admitted as members and entitled to use the courts. The arrangements were approved the following year, five years before the first Kent All-Comers’ Championships. 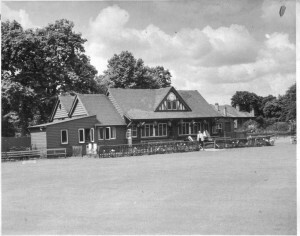 The front of the ladies’ pavilion was glazed in March 1906, but it did not become water-tight until 1930, shortly after the ‘nursery’ extension was added. 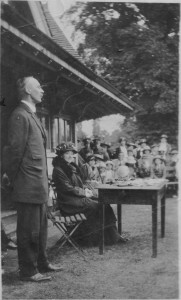 Tonie Thomas, a member from 1931 until her death in 2008, recalled, “The end of the ladies’ pavilion, which is now the tennis lounge had no front wall or windows then, so it was open to the elements and very draughty. For many years, the ladies’ pavilion acted as a changing area for international competitors of the open tournament and after the end of World War II dances were held there in the summer. The veranda was then boarded up during the winter months and turned into a bar and sitting area. Incredibly, it wasn’t until the late 1960s that females were allowed to enter the newly constructed main pavilion. Sue Buddell, a tennis member for more than 50 years, recalls that children weren’t even permitted inside until the early 1980s. 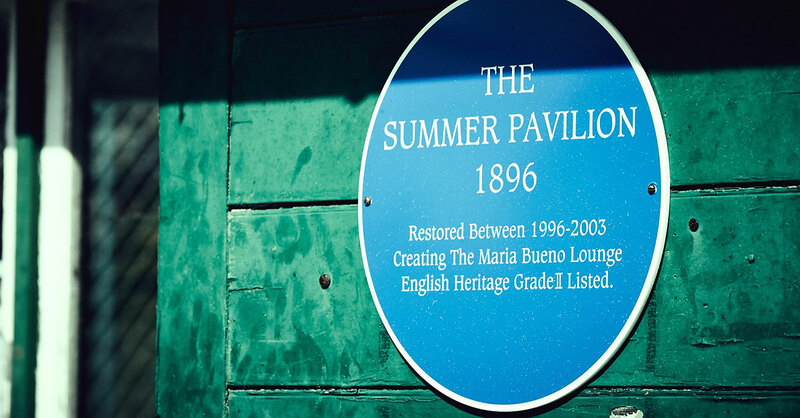 Much has changed at Beckenham Cricket Club since it was established in early 1866, but the 120-year-old pavilion remains an essential part of the panorama. 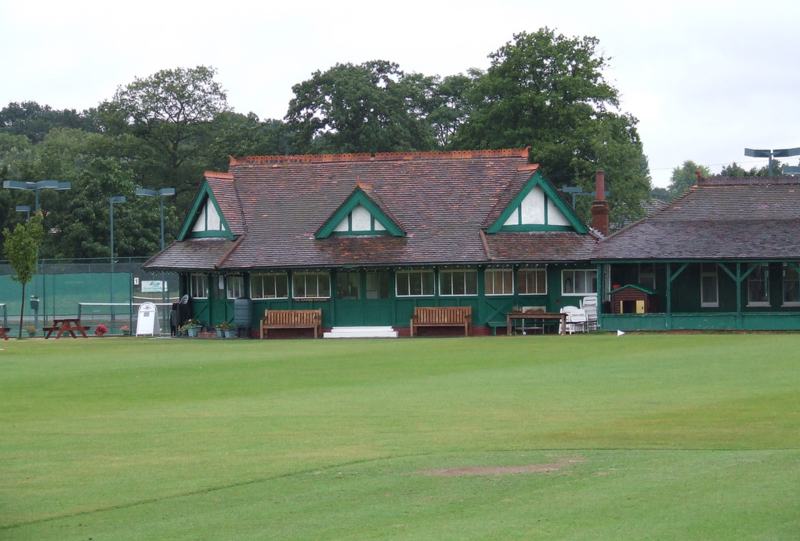 The pavilion was English Heritage Grade II listed in March 2013 and features in a book, ‘Played in London’ by Simon Inglis (2014), alongside other historic sporting venues in the English capital.